This new restaurant in the heart of Bloomsbury offers diners an authentic experiénce française. 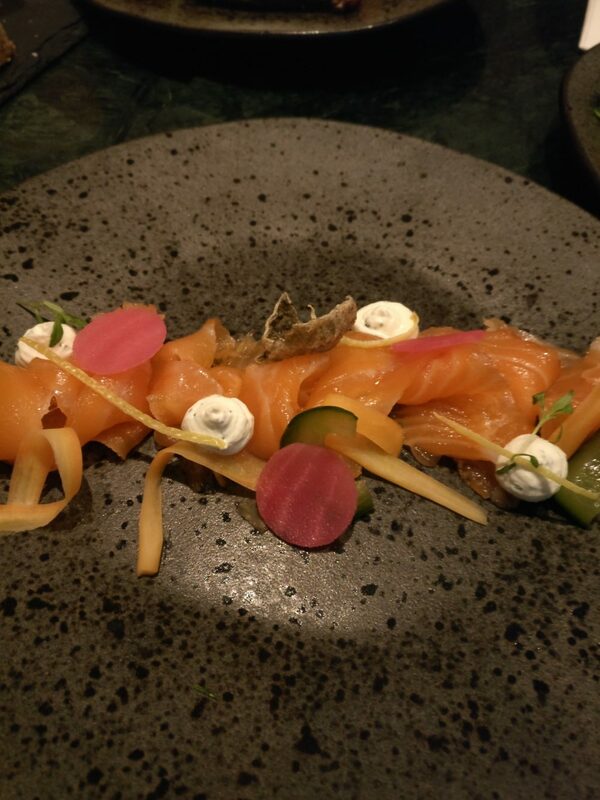 With the UK bracing itself for an upcoming Brexit, 2017 may seem a strange time to open an unashamedly European restaurant in the heart of the capital, but Bon Vivant hopes to add a little joie de vivre at a time when optimism is far from the order of the day. 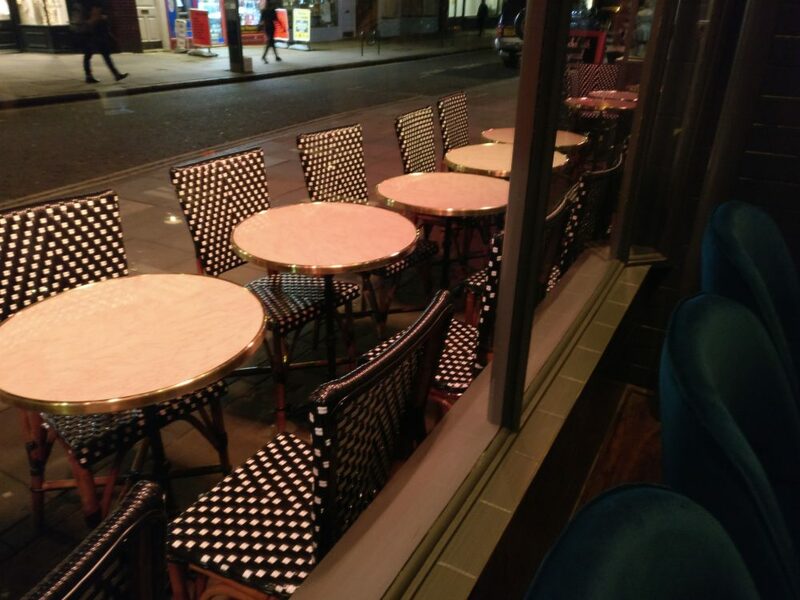 Located in the heart of London, not a 5-minute walk from Euston station, Bon Vivant prides itself on its authentic French character and the checked café chairs surrounding a row of small tables on the pavement outside immediately evoke a Parisian atmosphere before one has entered the restaurant. 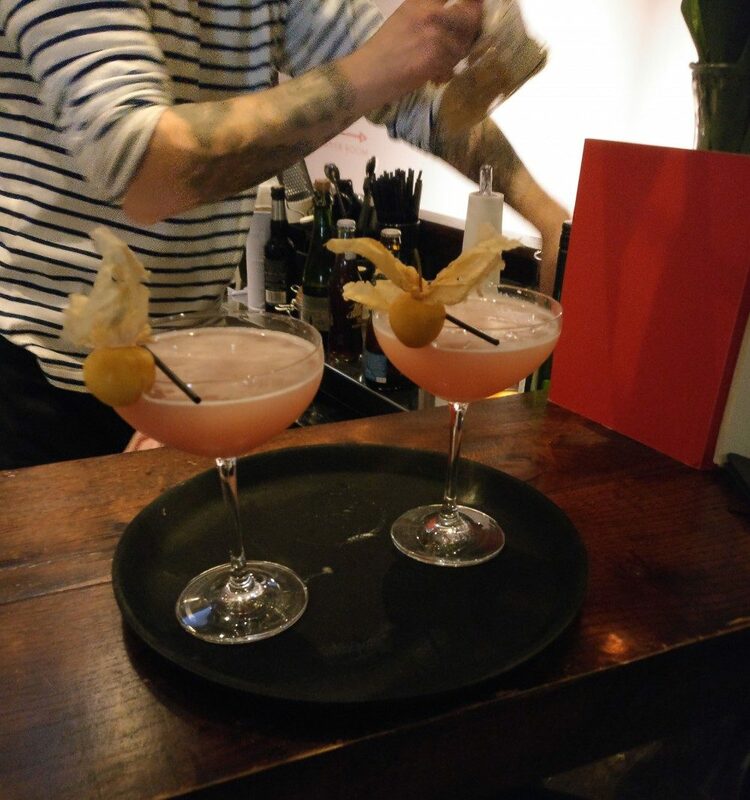 Once inside, one is greeted by a friendly staff and a bar where the reviewer was the grateful recipient of an excellent ‘Dirty Pink’ cocktail made with aplomb before our eyes. The menu showcased regional French cooking, the cured salmon with fish skin crisps was excellent, but the South-West pipped it to first place with the salade de chevre chaud which was a flavoursome goat’s cheese on toasted wholemeal crostini accompanied by warm lardons and candied walnuts. 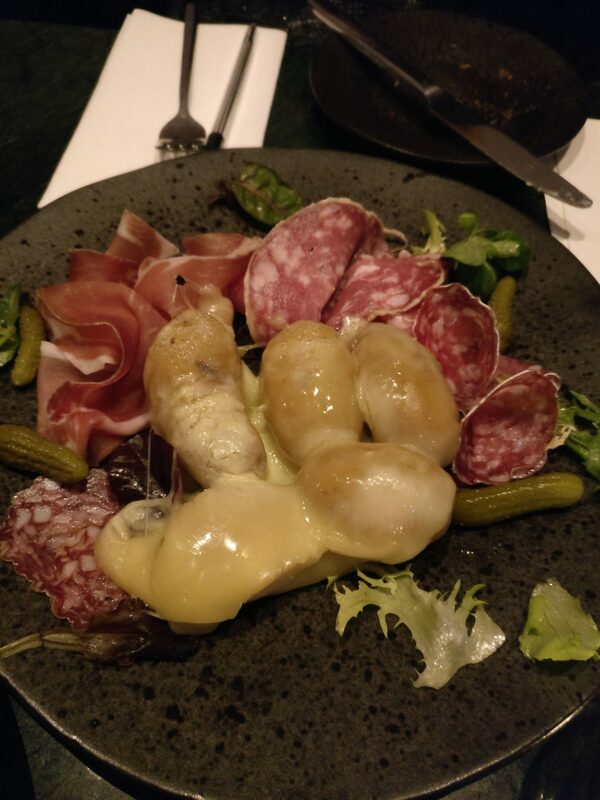 Unfortunately, the raclette was less successful with the potatoes a tad overcooked. Moving onto mains, the bavette, which was highly recommended by the waiter, lived up to expectations. 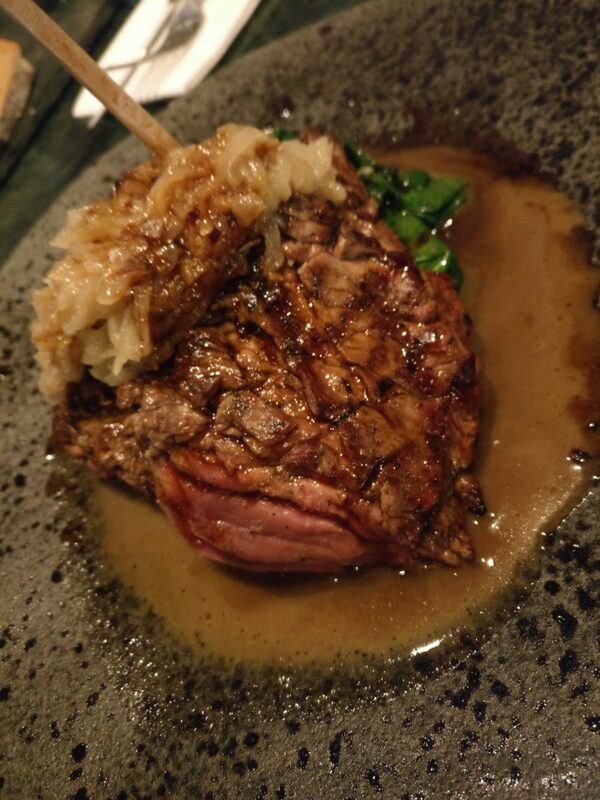 It was tremendously flavoursome, tender, and cooked to order. Sat atop a bed of emerald spinach and anointed by a heap of sautéed onions, this steak was truly merveilleux. 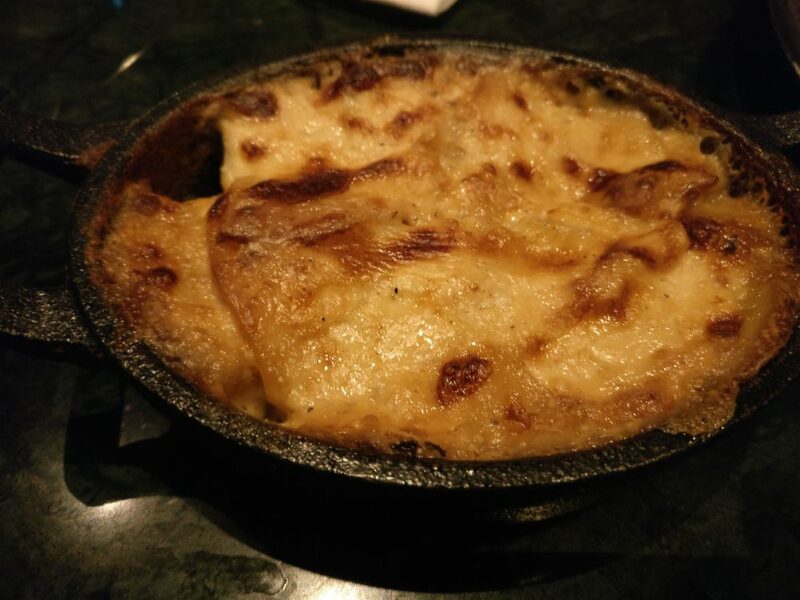 Accompanied by a side of gratin dauphinoise, served in a small cast-iron dish, this course alone is a worth a return visit. 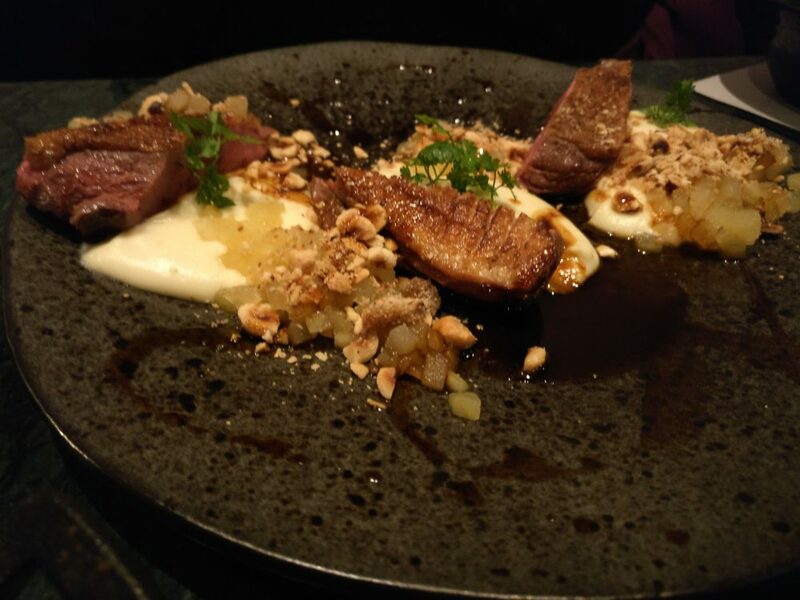 My companion declared her magré de canard, served on a parsnip purée with a rich jus, to be perfectly balanced and delicious. A trio of desserts was delivered to our table, and despite our hunger already being sated, we were able to sample some of each. 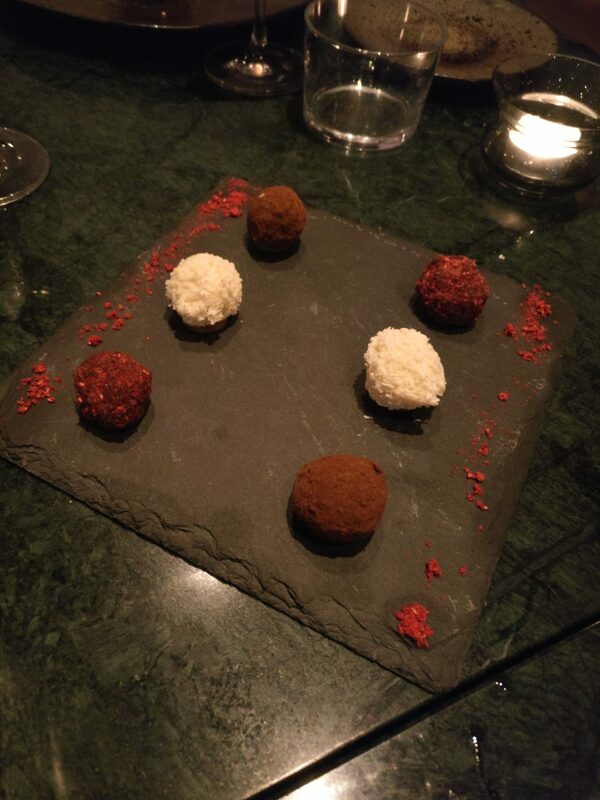 From a selection of truffles, we particularly enjoyed the coconut option. 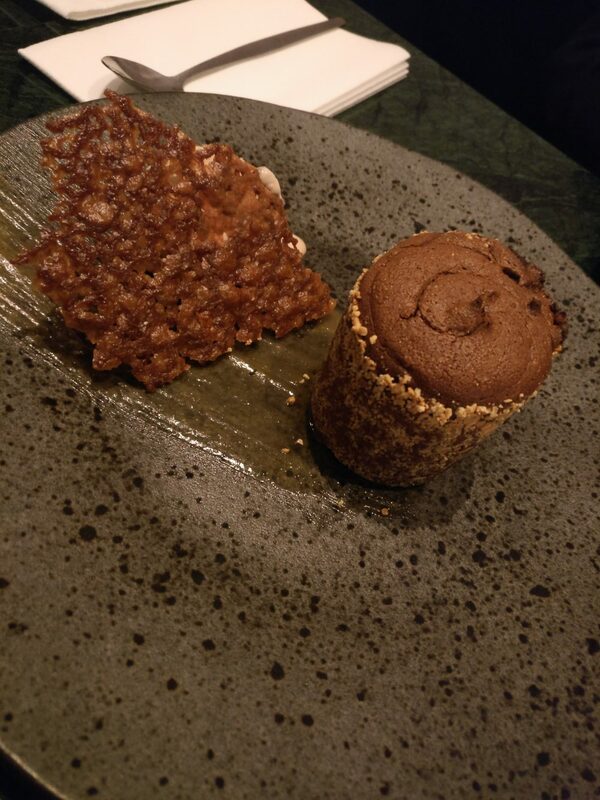 A chocolate fondant with hazelnut ice-cream had the requisite ooze and mingled wonderfully with the quenelle of hazelnut glace. 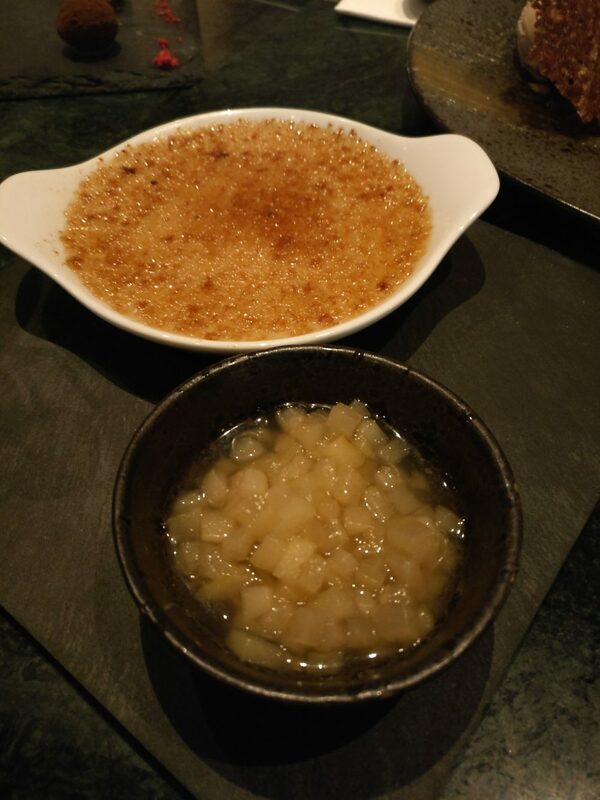 The Earl Grey crème brulée was gently perfumed and served with a spiced pear ragù which added a fruity element to this gentle and creamy dessert. Bon Vivant is open from breakfast to dinner, with the new intriguing portmanteau of ‘drunch’ (drunken brunch) on offer for the more hedonistic Londoners. Anticipating an early start the next morning, we bid adieu whilst our fellow diners were only just getting onto their digestif. What with the warm atmosphere, excellent food and opening hours from morn till night, this French enclave in Bloomsbury will continue to offer a home to Francophiles with an appetite for the French classics long after Brexit bites. Bon Vivant is a lively new restaurant with good food and a happy atmosphere and general bonhomie.